One reason the Northern European countries bailout out Greece was because banks, for example German en French banks, heavily invested in Greek government debt. 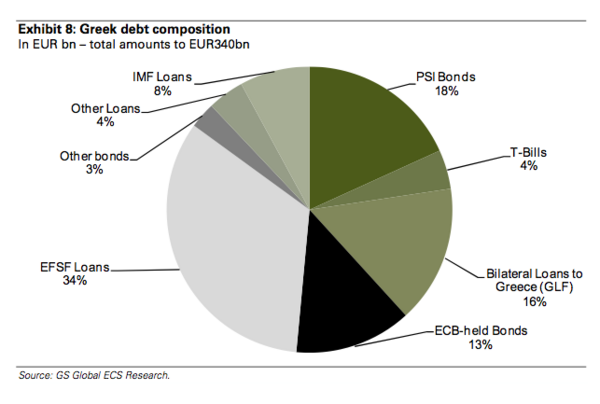 Since then the European Commission (EFSF) and the ECB have bought quite a lot of debt from the banks. This means that the bond holders of Greek debt shifted from only private parties to mostly public holders now. This means that when there would be a second round of writedowns on Greek debt the European tax payer will have to pay as well.